Here you can Sign up to the League and check Official Threads. Updates and announcements related to the League and its events or superstars. The people's corner. Comunications given to the roster and the place where fighters get in touch with each other. Storylines may also start here. Match cards of weekly events: BreakDown Episodes! The most important events for the PDG League happening once a month, rivalries evolve or end, titles are conquered or lost... history is made. Check every event's results and its comments. The forum’s rules, updates, The Render of The Month chart and else. The weekly SOTW. Make your sign and beat the others! 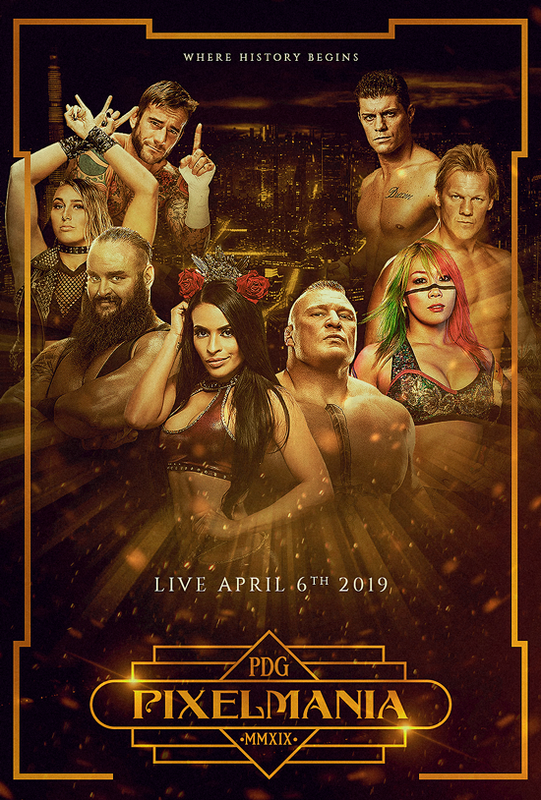 Monthly GFX contest based on PPVs Posters. Beat the others and win! Pick your predictions for WWE Pay Per View events: are you the prediction king? Discuss here Pro Wrestling threads with the community. Random discussions which can feature any kind of relevant or easy topic. Request your renders here, read the rules before. Requests are currently Close.